Far from being rational or scientific, he accepts the opinions of the Scientific Gods at the IPCC, and ignores the empirical evidence. It’s a step back to the stone age. In a rational world — when the evidence disagrees with the opinions — scientists toss out the fake Gods and go with the data. His ignorance of the scientific side of the debate is one thing, but the hypocritical name-calling is quite something else. He calls it juvenile pie-throwing, but he still uses the word denier, specifically saying the skeptics deny the “ever-mounting evidence”. My challenge to Lomborg is to name one paper we deny. He’s adopted an Orwellian misnomer. The term is designed to denigrate and dehumanize, why does he play that game? And for those who think the term “alarmist” is name-calling, think again. It’s an adjective and it fits. The so-called deniers don’t deny anything, but an alarmist is someone who wants to alarm us. Can anyone think of a better term for what the IPCC do? The skeptics of man-made global warming are the largest whistle-blowing group of scientists there has ever been. Thousands of pro-bono scientists are speaking out and rising up in protest. Lomborg isn’t aware that the scientists he rudely calls deniers include two skeptical Nobel Physics Prize winners, four elite Astronauts, hundreds of eminent scientists, and 9000 PhD’s (no that’s not a misprint). He dismisses them all as “one group of activists”. The irony is that he, the political science graduate has jumped into a the shallow end of a science debate and sided with the name-calling bullies. It’s a parody of common sense. As for the “ever mounting evidence” — if Lomborg can name the paper that backs up his catastrophic claims, he’ll be the man-of-the-moment for all the IPCC scientists (because they can’t). Bring on the ticker tape parade, and give this man a PhD in climate science! He will have achieved something the fourth assessment report did not. Lomborg has really thrown down the gauntlet. He thinks there is evidence to support his cause. Not to put too fine a point on it, but Lomborg has fallen for the shell game. He isn’t aware that all the empirical evidence named in the IPCC fourth report supports only one third of the temperature rise that the IPCC “projects”. All the lab studies show that CO2 is a greenhouse gas, and the physics suggests that if it doubles, we might get as much as 1.2 degrees warmer (ask James Hansen, the 1.2 degrees is his figure). The black hole in the climate-science-kitchen is that all the larger projections: the 3.5 degrees, 6 degrees or 12 degree forecasts, all rely on climate models, which are unverified, and indeed known to be wrong. The models amplify the small warming caused by CO2, but virtually all the data from the real world suggests that the feedback mechanisms dampen the direct effects rather than amplifying them. Skeptics merely ask for observable evidence that supports the assumption of long term amplification. So yes, the sad truth for Lomborg’s notable career, is that the growing number of skeptics are mostly rational luke-warmers who know more about the scientific details than he does. The peer reviewed evidence is pointing at a mere half a degree of warming due to a doubling of CO2, and rationally there are far greater environmental problems we ought to address. 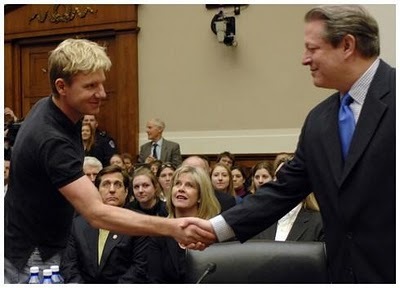 Lomborg not only denies the physical evidence of the climate but he denies the socio-political evidence of corruption that has been uncovered since he produced his book. Lomborg not only denies the physical evidence of the climate but he denies the socio-political evidence of corruption that has been uncovered since he produced his book. The so-called scientists Lomborg has faith in have been caught blatantly hiding their data, avoiding FOI’s, manipulating the peer review process, and making “adjustments” that they can’t explain. No amount of whitewashing changes the implications of publicly paid workers who use tricks to hide declines. No one needs a PhD to know that placing thermometers close to hot concrete will affect the results. It would be good to reduce our dependency on oil, and it does make sense to research alternate energies, but denying the evidence and making policy for the wrong reason is a Stygian trap with collateral damage. Let’s reduce our reliance on middle eastern oil, but not spend a cent on stuffing carbon dioxide, the atmospheric fertilizer, back in the ground. If we ignore the evidence, we won’t deal with the endemic disabling problems in our institutions. Our universities have fallen into a decrepit state where they no longer teach logic and reason in most science courses, many journalists think that being activists is the same as “reporting the news”, and the BOM and CSIRO think it’s ok to make “adjustments” which ramp up the temperature trend by 20 – 40%. Worse, they call those “adjustments” neutral, and won’t explain why they made them. There is no official body to audit them and the media refuse to say anything, so they get away with the deception. And while our research institutes are crippled with monopolistic funded to find a particular crisis, they are not producing the best research, and are not finding the answers that produce long range forecasts to help our farmers, or plan our urban infrastructure. If officials had paid more attention to the 30 year pacific cycles they might have predicted the end of the droughts and the return of the La Nina rainfalls on the East Coast of Australia. Had they done so, we could have used money to teach science properly at schools instead of building unnecessary desalination plants. How much richer our nation would have been. Lomborg joins the PR campaign of corrupt scientists, big bankers, and big bureaucrats. It’s a shame. We need common sense more than ever, instead, Lomborg is just throwing names and swallowing assumptions. It’s a strange world when a non-scientist feels confident calling the thousands of scientists who disagree with him banal names, especially so when he describes the name-calling as juvenile. This article was provided to The Australian last Monday night. The national broadsheet can find space to print hypocritical name-calling, but this time, not the rational reply? Irrational behaviour makes great fame. Lomborg is a wannabe celebrity first and foremost. Whatever it takes to be on the celebrity circuit. In the UK ,as Australia, climate change is ingrained into politics, media and the lobby groups, it is going to take years to shift focus. Someone should inform Lomborg that NOBODY is “denying climate change”. Perhaps he would like to specify exactly what he thinks is being denied? The term “Political Science” is an oxymoron. It seems that some universities are working very hard to give political science (and its sub-specialisation, climate science) the same status as the physical “sciences”. There are two ways that can be achieved. One way is to imbue political science (and climate science) with the rigour of the physical sciences. The other way, is the one being adopted. Good book plug. Or film plug, or whatever. Cleaner, cheaper energy would be nice. But not the hugely inefficient and obscenely expensive and subsidized wind farms. Go nuclear for electricity and hydrogen fuel cells for cars. Problem solved. P.S. With CO2 levels rising and the planet cooling for the past 10 years I still don’t buy the Global Warming Alarmism Theory. Here’s my conspiracy theory: the head alarmists know that a permanent cooling is on the way. If they can get their carbon reduction and wealth redistribution schemes in place in a hurry then they will inevitably be proven correct. They will be worshipped as the saviours of earth and its inhabitants for centuries. CRU Orders Removal of Climate Realist Article From the Express Newspaper. Having read The Skeptical Environmentalist I can say that he was always soft on AGW, and his position hasn’t really changed all that much. He believed in it then, he just didn’t think it was worth the money. He believed that the money could have been spent more wisely to correct problems that were far less expensive and sure to work. That is, in my opinion, an irrational view. If you really believe in the AGW alarmism and the consequences they predicted; then how could you possibly believe that the money could have been spent on anything wiser? The rest of his work was very impressive and generated serious professional and personal attacks; which he weathered wonderfully. Even though he never seemed to get the AGW stuff right I can’t understand this transformation after going through what he went through. It does seem a bit irrational. Is “celebrity” really the reason for all of this? Has anyone asked him? need more proof CAGW is non-partisan? “It really is odd to realize … that gee, there are not many of ya. It’s so weird,” Inglis said, calling it a “small fraternity” of Republican believers. One of them is Rep. Vern Ehlers (R-Mich.), a physicist who is retiring at year’s end after serving eight terms in the House. Sometimes he reviews climate science with curious Republican colleagues. Usually, though, they take their cues from ideological sources. But politicians’ opposition to climate change is not a political position taken for purposes of re-election in conservative districts, both Inglis and Ehlers say. Rather, it is about the money. lehmann actually has republicans denying “climate” itself, not even “climate change” as per usual! now tell me where are the Opposition in Australia every time there’s a new revelation about the CAGW scam or a new economic negative concerning the way it is being implemented? Pat # 8 . It seems there is just an on going “rev up” with the MSM / pro AGW crowd before Cucan. Given Monbiot was saying months ago that he had given up hope on Cucan , I can only conclude that this is all desperation. I believe Lomberg has a new film/doco coming out so he is just creating noise for the sake of it. Similarly Oreskes has a book to promote. Apologies, this is somewhat off-topic, but please read this, as it explains the alternative energy mindset very well. The last bastion of climate science deniers – the pipeline. They deny the reality of the missing AGW hot-spot signature. The catastrophic global warming they so desperately cling to exists only in the pipeline of a parallel universe they create to avoid facing reality. They’ve plunged down the pipeline of a climatic Stargate SG-1. Notably the TV series expands upon many Ancient Earth mythologies such as Egyptian mythology, Norse mythology, and Arthurian legend. And now another legend, this time Modern Earth mythology. The climate pipeline Earthgate EG-1. Peak Energy? What peak energy – James Delingpole tells it as it is. From an economist’s perspective the one thing that was a glaringly obvious ommission in Lomborg’s piece was the source of the 0.2% of GDP funding required for all his green technology research. He does not address how this is to be raised. I imagine he is thinking a tax on carbon, but here we go again, assuming that the Government is better at picking winners than the private sector. This is where the libertarian thinking comes in that Oreskes was so fond of (yes, that is sarcasm)… for some strange reason she thinks that Big Government is better at making market decisions than the private sector. Sadly this is something that has been proven wrong time and again, but she is oblivious to that history. Typical intellectual, ivory tower mindset (she has spent very little time in the real world, like much of the audience last night at her talk). Do I believe Government should step in at times when there is demonstrated market failure? Absolutely! But the onus is to demonstrate that there has been market failure in the first place and then act. It’s this strange concept called evidence-based policy-making. This differs quite a bit from the policy-based evidence-making we see from the IPCC. This is the real problem… putting the whole equation arse about. Air passenger duty is a nice little earner for the government producing £2billion of tax a year. It also has been an easy hit for successive Chancellor’s because it can be disguised as a ‘green tax’. But it is not that at all. This is the real problem… putting the whole equation arse about. Seems to be a disease. In global climatology temperatures are computed from given radiation intensities, and this exchanges cause and effect. The current local temperatures determine the radiation intensities and not vice versa. Combine those with the model distortion by the circular reasoning of CO2 forcing, what do get? Redundant desalination plants instead of reservoirs. As usual Jo, your logic is impeccable, your writing clear, your examples representative of your core points. You present brilliantly, the skeptics argument against the AGW hypothesis, while always being respectful of the proponents of that flawed hypothesis. I have been pondering this for some time now, and it seems to me that the root issue in the new religion of AGW – and indeed the root issue in all aspects of the so-called “progressive” movement – can be identified as egotism. Because it has so many of the classical features of a religion, Progressivism offers a form of “salvation” for the true believer. All first-world Western guilt at being the recipient of so much freedom and wealth can be exorcised by faith and faith alone, [i]sola fide[/i]. By faith alone is the believer saved from the damnation of guilt. And those who oppose this religion are rejected in much the same way that fundamentalist religion treats non-believers, to be demonised as “infidels” – those who “deny” the revelation of “truth”. The true believer thus saves his ego from the hell of guilt, and swaggers about with a very insolent Cheshire-cat grin, sneering at the damned sinners. These egotists, smug in their certainty of the possession of the “one true way”, call people like me “deniers”. They say I deny the obvious revelation of the “science”, and want to lump me in with “flat-earthers”, or simply suggest that I am “anti-science”. But the fact is I love science. Do I oppose the scientific truth of immunisation? – no. Do I deny the carcinogenic properties of tobacco? – no. Do I deny plate-tectonics? – no. Do I reject the theory of evolution? – no. I am 100% pro science. And if someone (anyone) could demonstrate the truth of AGW to me, I would be on the streets immediately, pleading governments for decisive action. I am not a scientist, but I am intelligent enough to follow scientific graphs and arguments. And the ONLY reason I reject the theory of AGW is that there is quite simply NO PROOF of its reality, and indeed lots of evidence to suggest that the thesis is entirely wrong. There is a real art to shifting position with the changes in intellectual fashion. In the sphere of government, the French seem to have produced some real masters: Talleyrand, Fouche, Mitterand. I wonder if Lomborg, in his bright, communicative way, is proving to be much less adept than Judith Curry. Curry buries all debate and contradiction under truckloads of molasses-like verbiage, till the critic simply surrenders through sheer fatigue. While promoting the need to communicate, it’s the last thing she will ever do. Lomborg takes the communication cant seriously, and that’s his problem. Of those who have made a massive reputation for themselves through climate alarmism, only a few will survive. Joseph Fouche went from blowing aristocrats apart at the height of the French Revolution to becoming a duke. So who will be the Fouche of climate? It’s edifying to watch their manoeuvres and transformations…though a little expensive. Ohhh looky looky.. another “independent think tank.” How is this group supported? The suggestion here being that we (Australia) should be accountable for exported hydrocarbons and their impact overseas… Given that he is an early adopter of “triple bottom line thinking” this kind of claptrap commentary is hardly surprising but completely impractical to implement. This is essentially saying that Australia, the gunshop owner, should be accountable for the murder by China when she uses the gun (coal) purchased from Australia. I make the analogy extreme, but it serves to show how ridiculous a concept it is. We have a hard enough time trying to account for our own GHGs without worrying about what another country does. The only way you would be able to account for global interactions like that would be with a global, over-arching, international agency monitoring all facets of international industry and emissions. Perish the thought*. * I guess I am one of those crazy, sees reds under the bed, libertarians Oreskes is trying to warn us all about, who sees a New World Order type Governmental conspiracy around every corner. But seriously folks, if every country were to be accountable for it’s own emissions only, do you honestly believe no one would cheat in their reportage of said emissions? If you answered yes to that question I have some great shares in the CCX for you… they are a steal right now! Last fall I read an article where he quoted Lindzen to support his own position. In an email to his office I showed that he had misrepresented Lindzen’s position. After Copenhagen, his secretary replied that she had sent my email on to him but that he was very busy and not to expect a reply. It is the very busy part, busy trying to sell his positon, that, I think, caused him to misrepresent a ‘skeptic’s’ postiton in support of his own. PPS> I should clarify that the “non-economics” piece I read was the second blog item about rare earths (which, ironically, are not so rare). why on earth would australia be trying to stop coal? World Bank loans for fossil fuel projects topped $6.3 billion in the fiscal year ending in June, $4.4 billion of which was for the construction of new coal-fired power plants, according to the Bank Information Center, a Washington-based watchdog group. And heavy criticism for the $3.75 billion loan for the South African Medupi Station — criticism that included a protest from the United States, Britain, the Netherlands and Italy in the form of abstaining to vote on the approval of the loan — has led the World Bank to take steps to present the institution as pro-renewables, including the hiring of an internationally-renowned clean energy expert to help shape strategy. I think Jo has been a bit tough on Bjorn. He fancies himself as an honest broker trying to mediate in what seems to me to be a very lopsided pie-fight. No serious critic of IPCC science denies that the Earth has warmed since the Little Ice Age as well it might, since the LIA was probably one of the coldest episodes during this interglacial so far. Twenty years and $73 billion later and the above statement just about sums up the present state of ‘the science’. ….acknowledging that man-made climate change is real but arguing that carbon cuts are not the answer amounts to staking out a middle ground in the global warming debate that means being attacked from both sides…. I can’t disagree with that. — it’s the anthropogenic share of the warming that’s the main point. And I can’t disagree with the notion of developing as many sources of cheap energy as possible but not at the expense of fossil fuel users and certainly not as a response to an increasingly unlikely ‘problem’. All the lab studies show that CO2 is a greenhouse gas, and the physics suggests that if it doubles, we might get as much as 1.2 degrees warmer (ask James Hansen, the 1.2 degrees is his figure). But even the so-called science of global warming is based on the assumption (i.e. GUESS) that all of the warming since 1850 was caused by increased CO2 levels in the atmosphere. We could just as logically say that the increased atmospheric CO2 levels are due to increased temperatures! Furthermore, Hansen and his fellow-alarmists don’t mention that we had the Little Ice Age that ended in the 1830′s! When an Ice Age ends, what normally happens to climate, Prof. Hansen? CO2 levels have been rising since the 1850′s, even though fossil fuel consumption was miniscule until after the 1940′s. And temperatures have both risen and fallen during this period. When temperature rises, AGW types shill that its man made climate change. When it falls, it’s just “noise”. B/S Prof Hansen! Isn’t that an argument from authority of the sort that warmists have been trotting out for years? I don’t disagree with you Jo, but don’t let’s get carried away. That just about sums up what I thought of him the first time he came to my notice during his Skeptical Environmentalist period. I even agreed at the time with James Hansen’s harsh critique of the book. The alarmists cannot win their argument on the basis of science or logic, so they must argue it on the basis of volume. Their name-calling and labelling of their opponents doesn’t change the fact that the global warming industry has not provided empirical, physical proof that global warming is significant, harmful and man-made. Their case almost invariably retreats to computer models and similar constructs to explain their version of reality. Global warming is a great theory – pity it doesn’t work. On the other hand, the climate realists have demonstrated instances where the AGW theory is at odds with concrete, real-world evidence. Which world do we live in? My instinct is to view the alarmist hand-waving as a desperate attempt to distract the public from a simple truth that is at odds with their ideology. When the alarmists begin to shout, then we need to start whispering. When I read this article on a saturday morning I decided for good that Lomborg is batting for someone. He has relentlessly pushed for a major expansion of renewable research and a dying AGW movement doesn’t help him at all. I think he is also pushing a barrow. He occupies a very unusual place in this debate these days. Good article from P. Gosselin here. Politics, religion, business and science are all a bad combination when BIG profits are being sought. Too much leeway for a smart scam artist to manipulate the system. Our basic knowledge base in science. (synonym) alert(hypernym) warn(hyponym) wake(derivation) dismay, consternation. However, fear is an emotion, and as such will dissipate in time, as is now being witnessed. What would the outcome be if you knew a big global freeze is coming? What would our governments do? Re: Post #2; Was that “Sandbag”, “Carpetbag” or “Bin Liner”? First they would suggest that the problem was caused by human interaction with nature. They would then call upon the UN to organize a world wide tax scheme to fund the solution. They would also send out endless media releases explaining how the best scientists have looked at the problem and the consensus is that the situation “is much worse than we first thought” (dire, in fact). And that the Precautionary Principle calls for drastic expensive solutions. Politicians would raise funds and campaign on the fact that they now best how to solve the problems associated with Global Freeze. Skeptics of AGF would be muted by the “Peer system” and silenced by the media. Blogs would pop up. John Brookes, MattB, and a host of other Freezists would proclaim that skeptics ARE Deniers! I think Bob Inglis is wrong. Climate change wasn’t in the driver’s seat on Election Day. At best it was just a part of the reason he lost. The big issues were spending and taxation. Inglis condemns himself right out of his own mouth by saying he favors a carbon tax over cap-and-trade. He was on the wrong side of the bigger issue and it bit him hard. Justly so! I didn’t know you were such an optimist. Those selfish inconsiderate bastards will be responsible for crop failures, food wars, ferral polar bears in Hawaii & the end of bikini models! On average world temperature is ~+15 deg C. This is sustained by the atmospheric Greenhouse Effect ~33 deg C. Without the Greenhouse Effect the planet would be un-inhabitable at ~-18 deg C.
As closing all the carbon economies of the Whole World could only ever achieve a virtually undetectable less than -0.09 deg C, how can the Green movement and their supporting politicians think that their remedial actions and draconian taxes are able to limit warming to only + 2.00 deg C? concern over CO2 as a man-made pollutant can be discounted. it is not necessary to damage the world’s economy to no purpose. if warming were happening, it would lead to a more benign and healthy climate for all mankind. any extra CO2 is already increasing the fertility and reducing water needs of all plant life and thus enhancing world food production. a warmer climate, within natural variation, would provide a future of greater prosperity for human development and much more food for the growing world population. This has been well proven in the past and would now especially benefit the third world. their use as the feedstock for industry rather than simply burning them. The French long-term energy strategy with its massive commitment to nuclear power is impressive, (85% of electricity generation). Even if one is concerned about CO2, Nuclear Energy pays off, French electricity prices and CO2 emissions / head are the lowest in the developed world. However in the light of the state of the current solar cycle, it seems that there is a real prospect of damaging cooling occurring in the near future for several decades. And as power stations face closure the UK lights may well go out in the winter 2016 if not before. All because CO2 based Catastrophic Man-made Global Warming has become a state sponsored religion. And now after “Splattergate” thanks to the 10:10 organisation everyone now knows exactly how they think. Splattergate is classic NOBLE CAUSE CORRUPTION. It is probably the most egregious piece of publicity ever produced in the Man-made Global Warming cause. This short film shows doubting schoolchildren being blown up and having their entrails spread over their classmates because they may have been less than enthusiastic about the CAUSE. Any misrepresentation is valid in the Cause and any opposition however cogent or well qualified is routinely denigrated, publically ridiculed and as we now see literally terminated. ‘Alarmist’ is in use as a noun too, witness your own last sentence, where it is preceded by the indefinite article. Question for the West Australians. Do you read anything significant into the fact that Gina Reinhart has bought 10% of TV Channel 10? Do you think it might be a step to try to balance the “media” in some way? Is she as fed up with the ABC as many other Aussies? The Alarmists are loosing the battle over the anthropogenic impacts on climate. But they thing they all seem to hate more than carbon (except in its crystalline form), is nuclear energy generation. They hate it on two counts: firstly, “it is dangerous – look at Chernobyl”; and secondly, uranium is already traded on an established market that they cannot control. So I think that now might be a good time to go onto the offensive — why don’t we start lobbying Government for Australia to set a target to have 80% of its power generated from nuclear by, say 2030? That would be an appropriate coup-de-gras, do you not think? Disclosure: I have a financial interest in nuclear technology — I own a diving watch with fluorescent numbers on it. I once had high hopes for Lomburg. He seemed so pragmatic a few years ago, then he started talking about geoengineering and lost credibilty. Now this, sad. The only thing I would ask you to consider is the geopolitical and demographical roots of this new religion. The current upsurge in environmental activism started in Europe, and the timing reasonably correlates with the collapse of the Soviet Union. I am still uncertain which was the cause, and which was the effect. I just note the correlation. I also note that the soviet collapse actually had a significant affect in shifting the political spectrum in Europe considerably towards the left. Socialism is the ideal philosophical structure for political activism – the socialist ideal invites, or even demands, activism. Also, as I have said before, most climate alarmists are of an age that see their parents (the post-war baby-boomers) as being highly irresponsible in their use of resources, and wastage in energy. And since it is part of the human psyche for children to rebel against the attitudes of their parents, that further fuels the environmental religion. Not to worry though. A new generation is starting to enter University, and the workforce. A generation that is ultra-connected with a lists of friends in the hundreds, rather than the tens. They also have a total aversion to anything that looks like advertising; and that includes a strong aversion to propaganda. One of the real benefits of the climate change scam is that the propaganda has been so overdone that it ceased to work its magic with those savvy enough to recognise it. And that would be the Party Generation, and their grandparents. That exact same thought has occurred to me. There is another issue the Western world would almost certainly have to significantly increase taxation or significantly reduce government services and general largess. The elephant in the room is the global financial crisis, it has to be paid for. Taking out a second credit card to meet repayments on the first one, doesn’t solve the problem it merely delays the repayments. All Western politicians know that when push comes to shove the majority of voters squeal harder over a reduction in services and government largess then they do over increasing taxes.Mainly because taxes are paid directly to the government by the employers, so that the average employee never actually sees or really relates to just how much tax they pay. So we will have increased taxes it’s just a case of trying to find a politically acceptable name for them. Climate change covers a multitude of stuff ups and general incompetence by the political classes. Climate change is something that can be blamed on OUR lifestyle. In 2004 I was reading a report by the person who surveyed the site of the Wivenhoe Dam in Brisbane I think the report was written in about 1973 and in it the surveyor clearly stated, that based on long-term rainfall records and the population growth of Brisbane from 1950 to 1970 the Wivenhoe would supply Brisbane water needs until approximately 2005 therefore construction of the next dam would need to start in about 1995. Just as I finished reading the report I looked up at the TV and here was Peter Beattie being questioned about the very real probability that Brisbane will run out of water in 2005. Beattie looked squarely at the camera and and earnestly said “This is climate change no one could have predicted this”. Growing up in a particular age in the US south, the term ‘demier’ always bugged me. Now I recognize why. ‘denier’ is the AGW community equivalent of the word ‘ni**er’. It is designed to silence the one so named. It is designed to dehumanize and delegitimize the victim. It is designed to make anything said by the victim illegitimate. think about it next time you read some smarmy AGW believer dismissing evidence they refuse to acknowledge or an argument they do not like as being from a ‘denier’. That Lomborg has caved in and moved to the where he of all people now uses the term tells me he is just a pitiful sell out on his part. As a former SEQ boy I well recall the ALP campaign which ended the Joh era & ushered in the era of Gossnost. There was a fierce debate about the proposed Wolfdene( if I have spelled the name correctly) Dam. This was a proposed dam for the Gold Coast hinterland which the ALP campaigned strongly against. Some considered it to be a significant. In the recent debate about droughts, SEQ population expansion, water grids & the Traveston/Mary River Dam, I missed any retrospective reference to the Wolfdene proposal & the arguments which surrounded it. With water as AGW(?) politics is all about power never honestly about the needs of the electorate. Joseph Mason, a banking professor at Louisiana State University who specializes in financial crises, says carbon is unique because it isn’t backed by a commodity such as gold or oil that can be seen and touched. Carbon credits get their value with people having faith in them, he says. “We really are setting up a market from scratch here for this hybridized pseudo-commodity of our own making,” he says. Anything that raises doubts about the integrity of emissions reductions could potentially damage the market, Mason says. “If you’re selling oil, you’re actually transferring something tangible,” says Gregg Marland, a staff scientist at the U.S. Department of Energy’s Oak Ridge National Laboratory. One recent carbon study shows how far off estimates can be. Afsah’s Performeks compared emissions calculated by the Netherlands Environmental Assessment Agency with those calculated by BP Plc. Both collect energy data and supply it to the public. The difference between the two sets of estimates for 23 nations added up to 2 billion metric tons of CO2 — more than what Russia, the world’s third-largest emitter, spewed from burning fossil fuels in 2008. The gap shows how widely results can vary depending on how calculations are tweaked and what statistics go into the number crunching, Afsah says. Even an early supporter of bottom-up calculations says he now sees the drawbacks. “When it comes down to it, these estimates are all guesses,” says John Bosch, who retired from the EPA in 2009 after 38 years. Bosch’s team designed ways to estimate pollution from oil refineries and petrochemical plants. Bosch says he left to become a consultant because he was frustrated regulators didn’t require precise measurements. New laser-based instruments make policing emissions possible, he says. Early in the recent election campaign, Julia Gillard was reported as saying that there would be no tax on carbon (dioxide) while she led the federal government. Instead, she said, ”What we will do is we will tackle the challenge of climate change”, which turned out to mean the appointment of an assembly of 150 citizens to advise on the ways and means – a suggestion that prompted immediate public derision. Just before voters went to the polls Ms Gillard again stated categorically: “I rule out a carbon tax”. Of course, that statement was rapidly rescinded after the election of a hung parliament created the political imperative that Labor court the Green and independent members who now held the balance of power. Making a dramatic U-turn, Ms Gillard rapidly segued to a new policy position. This involved scrapping the idea of a citizen’s assembly and erecting in its place a new Multi-party Committee on Climate Change (MCCC) to advise on policy options, which now again were to include of necessity (hat tip to the Greens) a carbon dioxide tax. The primary question that the MCCC needed to deal with, of course, was whether dangerous climate change is occurring, and if so what policy options might be available to mitigate it? First and foremost then, there was a scientific issue to be resolved. The committee’s state of mind on that issue was rapidly clarified by Ms. Gillard, who announced on September 27 the starting assumption that a carbon dioxide price was required to reduce “pollution” and to encourage investment in low-emission technologies. The government wants to declare a price on carbon dioxide, and businesses (especially energy suppliers) want certainty. As others before me have pointed out, these twin needs can best be met by allocating a price of $0 per tonne to carbon dioxide emissions – forthwith. Time to catch up folks; global warming alarmism is on its deathbed. The whole ‘low fact/fact free’ alarmism is really sad and indicative of people who care more about their message than they do about the environment. If they really cared about the environment they should go out and actually do something to make the world a better place for us now rather than peddling useless schemes and policy. I’ve just put up a post here about how this excessive focus on man made climate change is actually diverting us from dealing with the real environmental problems that we have. It was by chance I heard a radio interview with Professor Carter on local radio. Until that time I had never given any thought that AGW was not the threat the MSM would have us believe. I will be forever grateful that I caught that interview while traveling home from work one morning. ANOTHER CORRUPT UN ORGANIZATION INVOLVED IN THE GLOBAL WARMING FRAUD…………..
Gillard is not on her own in imposing climate change fraud on Australia. Here is a UN group that collects money from your local council and imposes Agenda 21 on your area without your vote or permission. They are called “International Council for Environmental Initiatives”. They are unelected and not voted on but they take over all development in councils that agree. They represent the UN and their mission is to impose Sustainability on all regions of the world. That is what they think is sustainable, not what locals know is sustainable. Wonder how the Victorian bushfires were so bad? I bet these clowns were running the local council agendas. So Gillard thinks she is safe in imposing a destructive tax based on a scam on Australia because these socialists have been imposing the conditions since 1998. ADD THEM TO YOUR “SPECIAL” EMAIL LIST! Read it and be very very afraid! I see that the Brisbane City Council is a memember!!!!!!!!!! The Committee recommends that CSIRO and the Bureau of Meteorology provide to the Australian Government a report with detailed explanatory information as to why a particular dynamic forecasting model or system was chosen for use in Australia. The report should be completed by the end of 2010. The Committee recommends that weather and climate variables and influences, for example, particulates, be identified, thoroughly examined to assess their degree of impact on our weather and climate, and incorporated into forecasting models as necessary. Priority areas for incorporating these variables should be published. The total influence of the GHG effect is significantly less than 33C. Your -18C number (255K) assumes that clouds and ice are still reflecting power maintaining an artificially high albedo of 0.3, where as the no atmosphere albedo would be the same as the 0.12 measured for the Moon. No GHG effect means no atmosphere, no water vapor and no rain, snow, ice or clouds. Using this value, the no atmosphere surface temperature would be about 270K, or about -3C, making the net GHG effect (all water effects + CO2) only about 18C. In effect, we can say that the influence of the GHG effect is to both heat and cool. It heats the surface by redirecting a fraction of the power emitted by the surface back to it and cools by increased reflection due to clouds, snow and ice. The cooling can be considered to be the difference between the 255K and 270K, or about 15C. Indonesia to cut down rainforests for $1Bn climate aid. I warned everyone I know, Lomborg was only trying to re-frame the same failed argument. He was only going to do it with a smile. Think about the number of movies that have been released without so much as a sniff from Hollywood money or theater attention. Now here comes Lomborg and his movie is in theaters across the nation. Hmm. Anything by Hansen, Trenberth, Mann, Oreskes, Halpern et al? Anything that shows a “hockey stick”? Papers showing increasing ocean heat content, imbalance at top of atmosphere radiative values, crop region migration, pest range distribution, rising surface temperature anomalies, sea level rise, Greenland, Arctic, and Antarctic ice melt rates? The basic physics of CO2, methane, and water vapor as greenhouse gases? Do your own research and you might realize that you have been a LEMMING! Lomborg never seemed like a skeptic to me. The first video I ever saw of him giving a talk on “climate change”, he was pushing for “solutions”…I couldn’t understand why other skeptics considered him to be one. I never trusted him – I think his personality/popularity and his continuing belief that we must DO something (i.e., cut carbon emissions, find “green” solutions) make him a very dangerous man politically speaking. Send your condolences to the families of the victims of the Pike River coal mine disaster. To leave a message for their loved ones please use the comment field at the foot of this page. The Pike River coal mine victims: Conrad John Adams, Malcolm Campbell, Glen Peter Cruse, Allan John Dixon, Zen Wodin Drew, Christopher Peter Duggan, Joseph Ray Dunbar, John Leonard Hale, Daniel Thomas Herk, David Mark Hoggart, Richard Bennett Holling, Andrew David Hurren, Jacobus (Koos) Albertus Jonker, William John Joynson, Riki Steve Keane, Terry David Kitchin, Samuel Peter Mackie, Francis Skiddy Marden, Michael Nolan Hanmer Monk, Stuart Gilbert Mudge, Kane Barry Nieper, Peter O’Neill, Milton John Osborne, Brendan John Palmer, Benjamin David Rockhouse, Peter James Rodger, Blair David Sims, Joshua Adam Ufer, Keith Thomas Valli. How could anyone deny that dog’s breakfast. So smart guy, Mr Too easy, name your paper. I owe you an apology and an explanation. I subscribe to both Business Spectator and Climate Spectator on-line editions. Not a day goes by that the editor of CS does not write a piece about the need or benefit of a carbon tax, the absolute necessity of renewable energy and the perfection of all things IPCC. Hardly a day goes by that I and several stalwarts try to inject some common sense into the discussion. I have tired of dreaming up comment names and usurped your very sensible monicker although the comment is still ascribed to me. I do hope you are not offended. I am still amazed that regardless of the science repudiating AGW there remains a sizeable and influential group who act as if all is well in the great fraud. CO2 is a pollutant, it just is, don’t you know? Frustration does not begin to explain how I feel. If you can confirm better figures lets run the numbers again. I have already been more generous that my academic source by doubling the Man-made % from 3.5% to 7%. Whatever happens the effect of Man-made contribution will remain minimal +0.09 deg C or +0.18 deg C for whole World Carbon emissions are still on the edge of measurability. Jo… This is off topic, but Allan Jones has had an excellent interview with Federal Minster for Water Tony Burke. Bluddy bore it up him in front of the people of Griffith NSW. Reminded him that he is the elected representative and to not take advice from the faceless bureaucrats who know nothing of farming and water. He also quoted the construction numbers of dams from various countries around the world. We have a pathetic 1 new dam greater than 60 meters in height…. Iran has built 48 new dams!… Libya 9 and a 2500km 2mtr dia pipeline to gravity feed its agriculture…. Our Government is doing nothing, or worse, actively stopping the growth of supply of water for Australians to use. The are stopping the harvest of water that is being wasted when it runs uselessly into the sea… Jones quotes the staggering gigalitres of water just pouring wasted, into the sea every year. Click on the one titled “Tony Burke on Water NSW” 23 Nov 2010. Somewhat off-topic, but there was a public meeting in country Victoria that exposed the Greens candidate as a bit of a dill. Story here at Vexnews. For the uninitiated, commenters at that site do not observe the proprieties. No offense taken. I use co2isnotevil so my comments are more easily googleable. If you google my name you get about 90 million hits, although googling ‘george white climate’ does a adequate job of finding me as well. Which specific numbers would you like to see confirmed? The only numbers I referred to was the current albedo (0.3), the albedo of the Moon (.12) and indirectly. As far as I know, these values are relatively well established. My real point is that you can’t separate out the effects of H2O absorption from the effects of evaporation, rain, snow, ice and clouds, which are all interconnected as the control plane of the climate system, moreover; as atmospheric water increases, the incremental influence of CO2 becomes diminished owing to substantial overlap between CO2 lines and H2O lines. The idea that GHG cause a 33C increase (which is widely accepted by warmists) is flawed by a factor of 2 because the cooling effects of water are not accounted for even as the warming effects of GHG absorption are. Merry Thanksgivings day to all our Yankee friends who read Jo’s blog! As a long-time student of American culture and politics I realize this is the most disturbing Thanksgiving since 1963, albeit for utterly different reasons. You should know that you have many Australian friends that stand by you on this day and both raise a toast to the America that was and will be again and offer up a solemn prayer of hope, if I may use that much abused noun. You should also surely know that the symptoms you suffer are not yours alone. Our polity is also rotten to the core, if a decade behind and only half as arrogant. Aye, the polity of the whole free world is as decadent and as rotten as it ever been since 1932. Some great storms lurk on this Thanksgiving day in the mists of our rapidly accelerating future and they have nothing to do with the weather. God Speed to us all. And for those who think the term “alarmist” is name-calling, think again. It’s an adjective and it fits. The so-called deniers don’t deny anything, but an alarmist is someone who wants to alarm us. Don’t try that reason thing, Joanne; it isn’t very popular, you know? Thank you for those kind words of support and encouragement. It has been a great privilege to get to know so many Australians, even if only what I see here on this blog. We may have different histories, different forms of government and be nearly half a world apart but we are united by at least one fundamental thing. We all have that burning desire to be free. I’ll probably never make it to Australia. But if I could I’d love to get together with as many of you as possible in a good pub and throw down a pint or two. And I feel the same way about you in New Zeeland — another beautiful land I’ll never get to. Wes @ 74, Thank You! Interesting new peer reviewed study just published, could be clouds afterall, it only requires a 1% to 2% change to account for the slight warming since the end of the LIA. Lomborg is shaken by climategate. But he still think that the IPCC is the best source of information for him to run his economic calculations on. It is telling, that assuming that the IPCC is correct, doing what Gore and company want, still does not make sense.